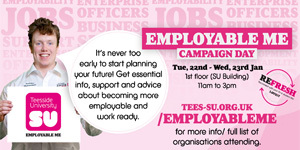 The Jobs Service is located within SU Student Support (SUSS) on the 1st floor of the Students' Union and advertises,mainly, part-time jobs for students studying at Teesside University and it's partnership colleges. 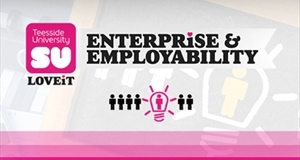 Towards the end of term, graduate jobs are advertised with the Job Service which can help third year students when looking for a career related to their course. Please see SUSS opening hours for availability of the jobs service. E-mail the Jobs Service with enquiries and join our Jobs Facebook group for regular job updates. Better still...why not search our handy database just below?